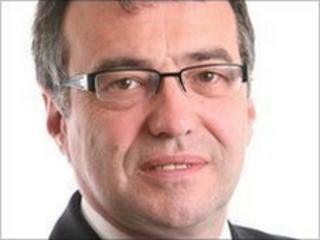 A court is to examine claims that a Labour Party election leaflet from former minister Phil Woolas linked an opponent to Muslim "extremists". He claims Labour falsely portrayed him as taking "illegal" foreign donations. The court could order a fresh election in the Oldham East and Saddleworth seat, which Mr Woolas won in May by just 103 votes and after two recounts. Mr Watkins believes a Labour election leaflet portrayed him as courting votes from militant Muslims. The leaflet was headlined: "Watkins accused of wooing extremist vote." It went on to pose the question: "Why are the extremists urging a vote for Watkins?" It also reported that Mr Watkins has worked for Saudi Arabian billionaire, Sheikh Abdullah Ali Alhamrani, adding: "Political donations from overseas are illegal. Even the Ashcroft money can't match a Sheikh." The election court will focus on whether the leaflet and a newsletter breached the 1983 Representation of the People Act. Under the act, anyone involved in an election campaign who "makes or publishes any false statement of fact in relation to the candidate's personal character or conduct" has committed an offence. Mr Watkins said: "I'm looking forward to the legal case, where I'll be able to show my good character and I'll be able to show that what was said is completely wrong. "You can hint and suggest things that put a question mark in people's minds. "If I'd read those leaflets I don't think I'd have voted for myself if I thought they were half-true." Mr Woolas was unnavailable for comment.